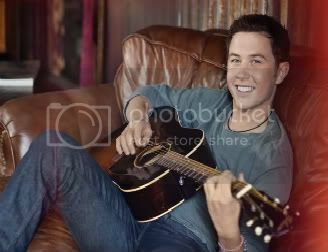 Scotty McCreery "The Trouble With Girls" video sneak peek. Scotty McCreery’s new video for his current single “The Trouble With Girls” off his chart-topping debut album Clear As Day is premiering at special times all weekend on CMT (aired today on CMT at 8:45AM ET and will be shown again tomorrow (Sunday) at 8AM ET). We have a behind the scenes clip for you, while we await the video’s official release on Monday October 24. Roman White is the director for “The Trouble With Girls” video and Scotty mentions having a blast doing this video with him and how exciting it is that White also directed videos for Taylor Swift and Justin Bieber. Judging by the rapport on set and the funny asides, and playful teasing, it’s clear Roman White “gets” teenagers and knows how to make them feel comfortable. The premise of the video is a pretty straight-forward portrayal of the song, it’s set at Scotty’s real-life high school, Garner Magnet High School in North Carolina and the “girl” in question has gone to school with Scotty since kindergarten and all the way up to now, their senior year. She plays Scotty’s lab partner, sits by him for a lunch scene and is seen cheering him on from the bleachers as Scotty takes the mound during a school baseball game. Scotty mentions it being more special being at his own school and the extras being kids he’s always known, he was happy to share the excitement with his friends and have them be apart of this video which is meshing his new life as a country music star, with his life as a “normal” high school senior. Check out the clip, let me know what you think and check back here for the official video in its entirety and my review.